The United Nations Katowice Climate Change Conference is now history, and Alex Newman, foreign correspondent for the New American magazine, is coming back on Lost Arts Radio to tell us what was accomplished. An agreement was in fact produced, and we will look at what it promises for the world. My impression is that most of the people there probably didn’t have any understanding of the real environmental crises facing our planet, and where they come from. Some of them may actually believe they are working on a valuable project to save the Earth from climate change. But those the top levels of power are quite clear that the goal is the exact opposite. Alex Newman, foreign correspondent for the New American magazine (www.thenewamerican.com), reporting from Sweden after this conference has ended, will be with us for this show, to summarize what the Conference delegates decided, and what are the implications for us in our daily lives. 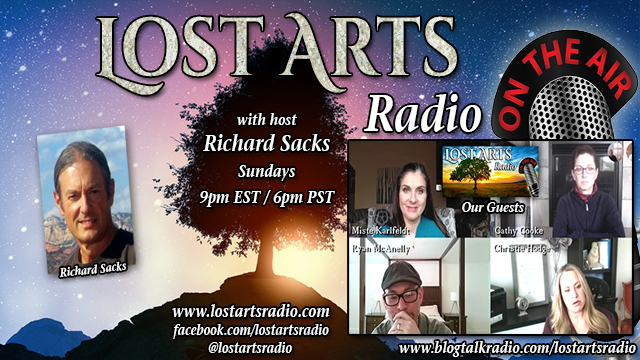 Alex has been our guest on Lost Arts Radio before (https://www.youtube.com/channel/UCZpKpRYJ4Odvthgakhu8Nbw/search?query=alex+newman), and his insights are always valuable and informative. I think you will appreciate his appearance in this show for the Climate Conference wrap-up, and will look forward with me to his next visit in the near future, as the next stages in this world drama we are watching continue to unfold.